Sleepers are heavy, so it’s important that you either know that you can lift everything yourself or have someone to help you to avoid injury or straining your muscles. Fortunately, that weight means that they have a luxury feel and are extremely sturdy – you definitely won’t mistake your railway sleepers for flat packed furniture! 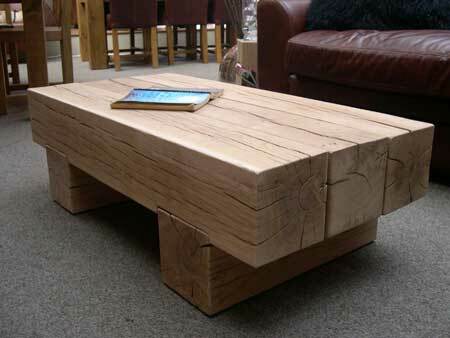 There are a variety of options when it comes to making a railway sleeper coffee table. By far the simplest is to create a low, Japanese style table by just lining up a few sleepers together – you don’t even need legs for it! If you’d prefer to take it a step further, you can cut a sleeper in half and put both halves underneath the tabletop so that it’s elevated from the floor. The most important thing is to line up your sleepers properly and ensure that they are well secured to avoid it falling on somebody’s foot. This discontinued style from Indigo Furniture is simple to replicate and extremely solid – you’ll never need to worry about wobbly legs. If you’d prefer to create something a little more interesting, you can draw inspiration from designs like the Susie Frazier accent table below. You can make your own accent table by cutting sleepers to different lengths, taking care to sand them properly to avoid splinters, and fixing them together to create a beautiful, high-end piece of furniture that definitely costs less than it looks. If you’d prefer to work on your seating area, the principle is much the same – decide the height of your seating and style (do you want a bench, does it have a back and arm rests?) and stack your sleepers accordingly! Here are two simple styles from DIY Crafts Decoration and Worth Trying DIY Projects. 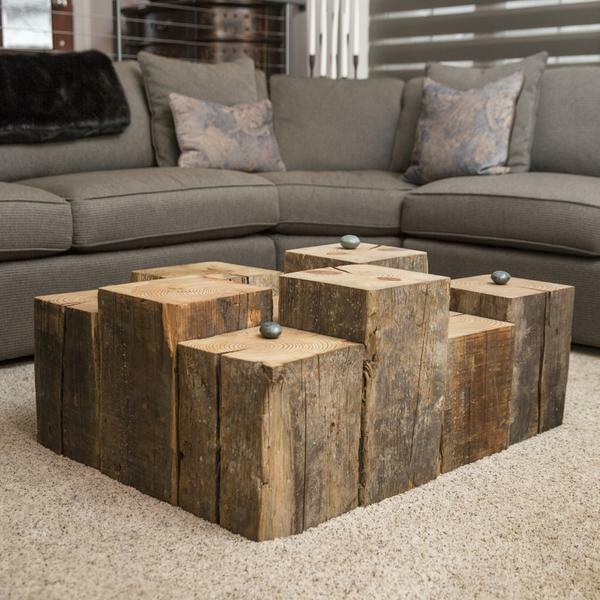 When making furniture, it’s best to use new railway sleepers – the size will be more uniform, the edges are more crisp, and the wood will not be covered with any treatments that might make it stain your carpet or clothing. 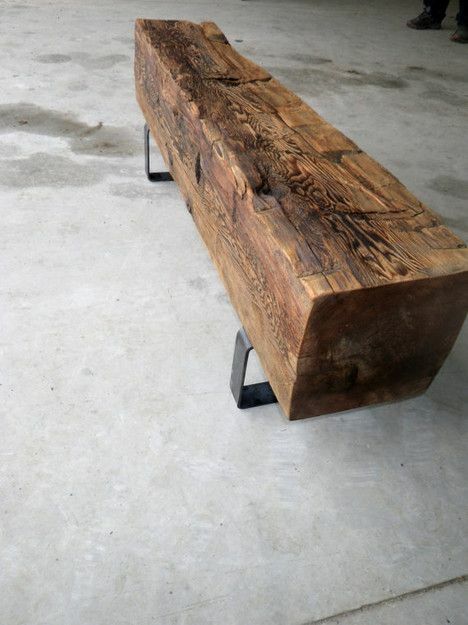 Used railway sleepers are mainly for outdoor use, such as paths, steps, or retaining walls. 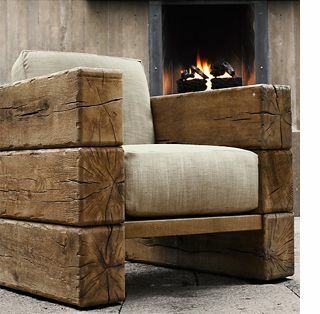 If your furniture is going outside, don’t forget to use a preservative to prevent water damage, rot, and fungi. Our railway sleepers start from just £9.79, so your new bespoke piece of furniture will probably work out costing far less than you think. We also stock a range of screws that are specifically designed for this type of thick, heavy wood so you know that your furniture is properly secured. Our Carpenter’s Mate Hex Head Screws are in stock at lengths between 90mm and 240mm, depending on your project.